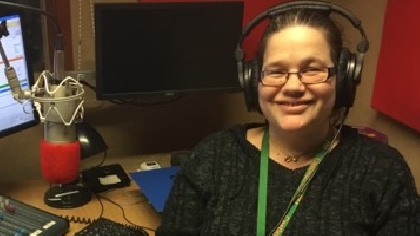 Castledown FM is run by a team of over 60 volunteers from the local community; a mix of presenters, engineers, and co-ordinators, without whom the station would not be able to run. Initially launched as Castledown Radio in 2005, the radio was part of the Integration of Communities Project, funded by the EU and DEFRA. Following a successful period of online broadcasting, FM broadcasting began in November 2006. Located between Tidworth and Ludgershall, in the grounds of The Wellington Academy, Castledown FM is at the very heart of the community, keeping listeners entertained with a diverse range of programmes with music spanning many decades, lively chat, listener quizzes and interviews, information on current and future events, locally and further afield, and hourly news reports. Listeners can tune in via 104.7 FM, via Radioplayer on your smartphone or tablet or by accessing the Listen Live link on the homepage. With a dedicated Castledown FM Text line (07543 558793), complimented by pages on both Twitter and Facebook, there are a myriad number of ways for listeners to get in touch, perhaps to request a favourite song or take part in a listener quiz.